After attending oral argument in Obergefell v. Hodges, the marriage equality case before the U.S. Supreme Court, Attorney General Mark Herring issued the following statement. Herring is the first state attorney general to argue successfully at the district level and on appeal that his state’s marriage ban should be struck down as unconstitutional. “Today’s arguments are profoundly important to our progress as a nation, and in a very personal way, to thousands of Virginia families. Since the Supreme Court allowed marriages to proceed in Virginia, 1,481 couples have married, thousands more have had their out-of-state marriages recognized, 17 children have been adopted, and 16 children have had their second parent added to their birth certificate, providing new security and peace of mind. Our Virginia plaintiffs, their advocates, allies, and legal teams have much to celebrate. “I am proud we put Virginia on the right side of history on this issue. There were times in our past when the Commonwealth’s elected leaders used the Supreme Court as a venue to argue against equality, but in the end, brave Virginians always showed us the way forward and we’ve come to more fully appreciate and recognize the principle of equality enshrined in our Constitution. 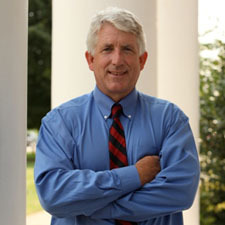 In January 2013, Herring changed Virginia’s legal position in a pending lawsuit challenging the state’s constitutional and statutory bans on marriage equality. His office argued successfully alongside the plaintiffs at the district level and on appeal. The Supreme Court declined to hear an appeal of Virginia’s case and marriages began in Virginia on October 6, 2014.